Happy Flash Friday everyone! You have my wife to thank for today's update. I don't normally go to McDonald's so if she hadn't told me about the newest promotion I would have never known it was happening. Right now McDonald's is putting superhero themed cars into their happy meals. They also have Barbie Spy Squad themed stuff too if that's your thing. 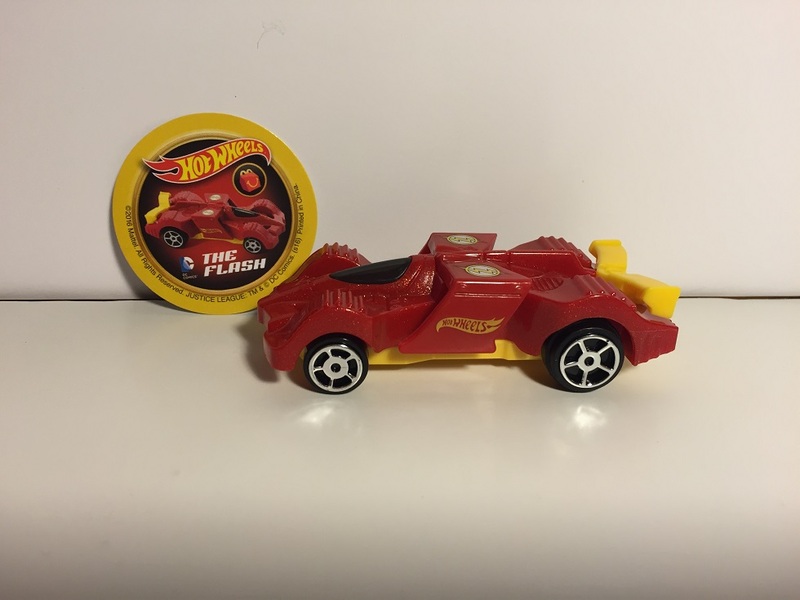 Anytime there is a Flash car made there is always the joke made about why the world's fastest man would need a car. Moving past that low hanging fruit we can see they certainly picked a fast looking car for the Flash. The red paint job has gold glitter in it, although it certain lighting you probably won't notice it. 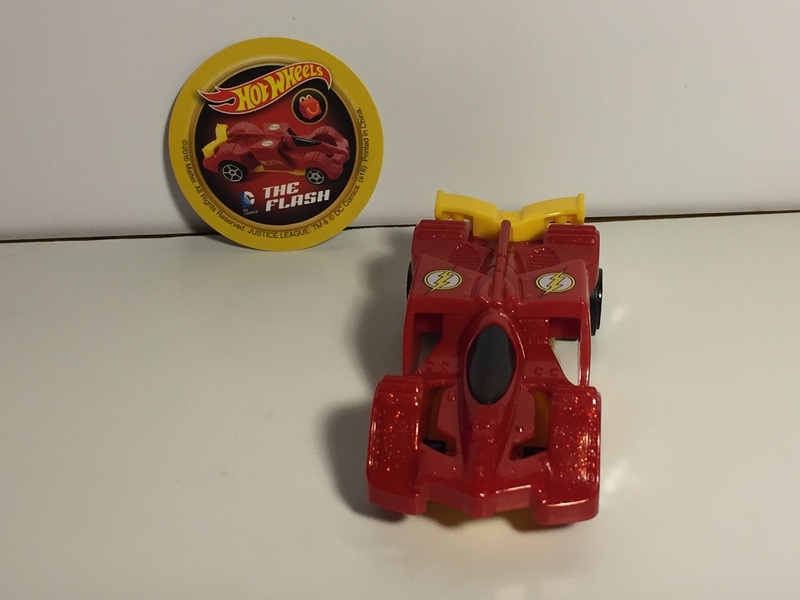 There is printing on the sides and the roof consisting of both Hot Wheels and Flash logos. The car does have a pull-back motor to sending it racing across non-carpeted surfaces. The rest of the car line up consists of Superman, Batman, Aquaman, Cyborg, Green Lantern, Robin, and the Joker. I guess because this is considered the "boy toy" that they left out Wonder Woman. I found it strange that they include a single villain to go with the seven heroes. Finally if you need one or more of these in your collection, remember that McDonald's will sell you the toy without having to eat their food!